It's time for summer vacation, but don't start packing your bags just yet. Carrying the right gear can make or break your vacation—and a few travel tech items can help your trip go much more smoothly. 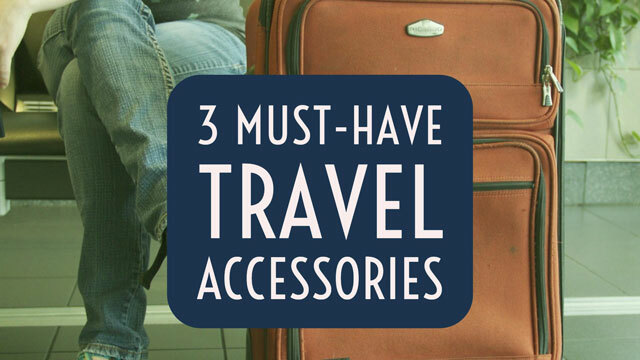 Here are our three favorite tech accessories that should be on your travel checklist. Losing things at home is a nuisance, but losing things when you're out of town can be a nightmare. Have you ever misplaced your purse, your phone or even your passport while you were on vacation? It can be easy to leave things behind in a hotel or at a restaurant, especially if you're in a hurry to get somewhere—but now you can avoid that using the Orbit Key Finder. This tiny gadget won't weigh you down: it's about the size of a half dollar coin (though its rounded body is thicker) and weighs in at just under an ounce. Attach Orbit to your keyring, slip it into your purse, or clip it to a backpack or suitcase (though you'll need a separate clip in this case)—then Orbit will make a sharp noise (90 decibels) if you and your gear get too far apart. Similarly, if you're trying to find something—either your smartphone or whatever your Orbit is attached to—just tap the button on Orbit or its associated smartphone app to make the other gadget sound an alarm. If you still can't find your stuff, you can use the Orbit app to let you know where it was last seen. Setup is simple: just install the free mobile app on your smartphone and pair it with Orbit, which uses Bluetooth low energy to talk to your phone. After that, it should just work: you won't even have to think about it after you set it up. There are a number of gadgets with similar functionality, but Orbit stands out because it's splashproof and has a replaceable battery. On top of that, you can use it to as a selfie remote—just click your Orbit to snap a photo. Nice! This organizer has sophisticated style with a body made of full-grain leather (in camel, black, and pale blue). You'll find basic pockets on the front and back for anything you need easy access to, but it's the inside of the bag that shines. You can pull up the outer flap to access the interior just like a standard purse or you can unzip the sides to lay it flat, where it acts as more of an organizer or planner (depending on what you have packed). 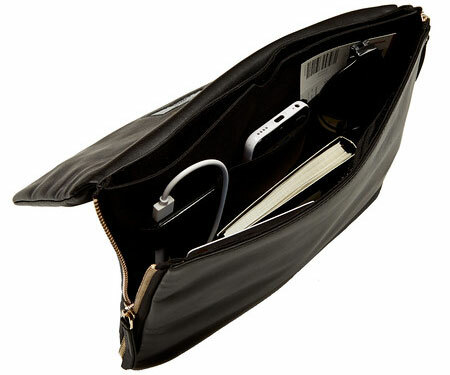 The bag's multitude of pockets will suit any hoarder—including pockets sized for your passport, ID and travel documents. For tech-savvy travelers—or anyone carrying a smartphone—it has a pocket sized for a tablet up to 10" and a built-in 3,000mAh charger. Though that's only about a third of a charge for the average 10" tablet, it's about a charge and a half for an average-sized smartphone which is should be plenty to get you through a long flight. Just remember to pack your charging cable to access that power. Looking for something less bulky? The Elektronista Mini is a more petite clutch that has the same organizational features and 3,000mAh charger—but it's better sized to hold your smartphone, ID and basic essentials. 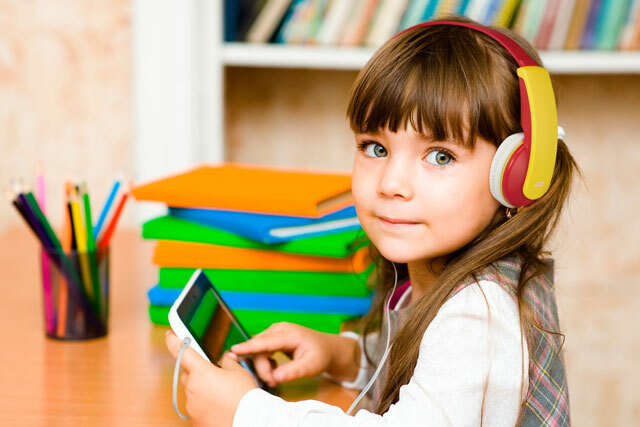 Long flights or road trips with children can be trying for parents—but a set of headphones and a tablet (or LeapFrog) can keep them entertained while preventing them from bothering their fellow travelers. JVC's Kids Tinyphones are ideal: these brightly colored headphones are designed to appeal to kids and come with sticker sheets so your youngster can decorate them as they see fit. While stickers don't offer a lot of customization options, they certainly appeal to younger kids (who may wind up covering their toys with stickers whether encouraged to or not). These headsets are designed for ages three and up, with soft ear-cups for comfort and a volume limiter to protect kids' hearing. While a volume limiter isn't necessarily a feature you would think about, it's an important one because listening at high volumes can cause long-term hearing damage—and our kids often don't realize it. These headphones limit sound to 85 decibels, which the CDC suggests is the maximum volume to avoid hearing damage. They're available in two styles, one with a slightly wider band and cup-style earpieces that will keep everyone from hearing what they're listening to (model HA-KD6). The other has simple flat speakers that sit on the ear, but unlike their bulkier cousin, they fold flat for easy transportation (model HA-KD3P). Both, however, feature the same bright colors and volume limiter. Those JVC headphones look great, nice set of colors.